Monitoring programmes are the main source of information on the population status of species of conservation concern, and therefore have a significant role in setting conservation action priorities. In this section, we describe three ways in which results of monitoring are used. in 2004), changes in population size between surveys are used to assess their population status. For scarce species, small population size constitutes a criteria for conservation lisitings and potentially greater effort, whereas for invasive species, measures of population size help to understand the extent of the threat the species may pose to other taxa. Knowledge of population size is also important in research aimed at understanding interactions between species (e.g. competition), patterns of diversity in ecosystems and energy flow between trophic levels. Monitoring programmes, although generally designed to measure change in abundance, can also be used to estimate density, and by extension population size, if certain assumptions are upheld. In the previous UK breeding bird atlas (Gibbons et al. 1993), the population size of many common terrestrial birds was estimated by calculating their breeding densities on farmland and woodland plots in the Common Birds Census and scaling up those estimates to generate population estimates for the entire UK. 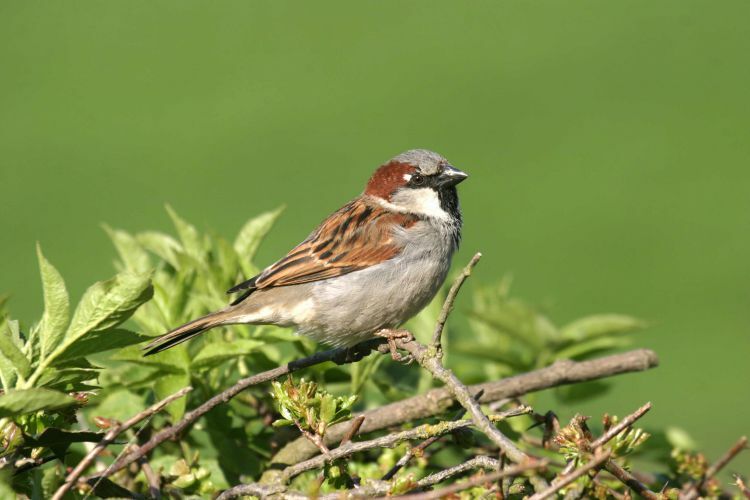 However, although this method may have been suitable for common farmland and woodland birds, estimates for species of urban, upland or wetland habitats are less likely to be representative. Counts of birds detected during BBS surveys are recorded in distance bands and this provides an opportunity to use distance analysis to calculate total numbers. The procedures for these analyses have been developed under the BBS research programme, and results reported in the scientific literature (Newson et al. 2008). Although sophisticated distance analysis methods allow habitat variables for surveyed squares to be incorporated into the modelling and improve the results, some questions remain to be answered – not least how to deal with differential detection of breeding and non-breeding birds, males and females, and birds detected by sight and those detected by sound. Further research is underway to investigate these issues. 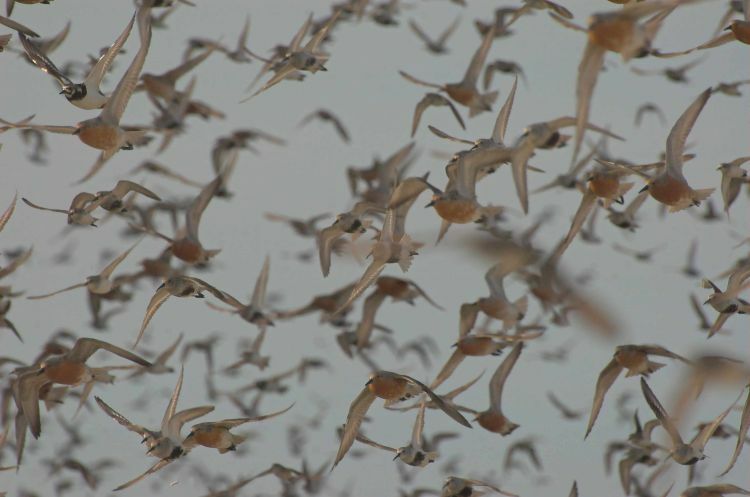 The alert system used by BTO is designed to draw attention to developing population declines that may be of conservation concern, and is described in detail for terrestrial species by Baillie & Rehfisch (2006) and for wintering waterbirds by Thaxter et al. (2010). Alerts seek to identify rapid (>50%) and moderate (>25%) declines, measured over a number of time-scales. The conservation emphasis is on the longer periods, but short-term changes help to separate declines that are continuing – or accelerating – from those that have ceased or reversed. Although data on some species might be biased, these data often provide the only information that is available, and our general approach is to report all alerts raised, but to clearly flag up any deficiencies in the data. The process also identifies situations where long-term declines have reversed. Although the criteria overlap with those used for conservation assessments such as for identifying the Biodiversity Action Plan list or Birds of Conservation Concern (e.g. red and amber listings in BOCC3, Eaton et al. 2009) and hence provide an indication of likely changes in future revisions of those assessments, alerts are advisory and do not supersede the agreed UK conservation listings. Alerts triggered over the short term for individual species should be considered as early warnings, indicating that conservation issues may be developing. The status of British bird populations are comprehensively assessed periodically through both statutory and non-statutory initiatives. At the UK level, an assessment of status of all regularly occurring breeding and a subset of wintering (mainly waterbird) species is undertaken by a consortium of bird conservation statutory organisations and NGOs every six years. This assessment is the basis for the red and amber listings for species in Birds of Conservation Concern 3, as well as in its predecessors (Population Status of Birds, and the first Birds of Conservation Concern published in 1996). A number of criteria are examined and red and amber listings are based on severe and moderate population declines, changes in range, as well as small population size, localisation, international importance or unfavourable population status in Europe. These criteria are similar to the IUCN criteria for red-listing used in global assessments but differ in being less focused on probability of extinction. In the last update (Eaton et al. 2009), of 246 species assessed, 52 were red-listed (an increase of 12) and 126 were amber-listed. New red-listed species include woodland species (e.g. wood warbler), long-distance migrants (e.g. cuckoo), edge of range breeders (e.g. Temmick’s stint) and seabirds (e.g. arctic skua). Red and amber lists should next be updated by 2015. The UK Biodiversity Action Plan is a government-led process which identifies which species are deserving of highest priority for conservation concern in the UK, and through the implementation of action plans, commits the government to achieving agreed targets. In 1995, the UK BAP list included 26 bird species. 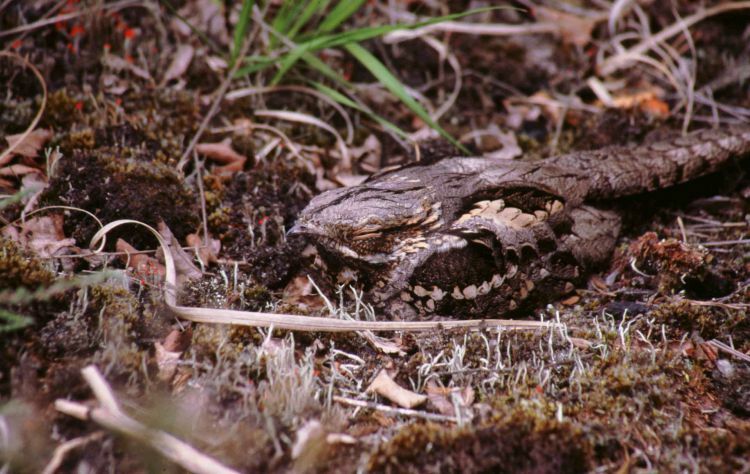 Under the direction of the Biodiversity Reporting and Information Group (BRIG), all UK species and habitats were reassessed and a new list was published in 2006. The number of bird species, or races, in this assessment, increased to 59 with additions including endemic island races such as the Fair Isle Wren as well as new species such as Lapwing, House Sparrow, Yellow Wagtail and Twite. Although the population status of some of the original 26 BAP bird species had improved somewhat, changes were not enough to remove them from the list. Thaxter, C.B., Sansom, A., Thewlis, R.M., Calbrade, N.A. & Austin, G.E. (2010) Wetland Bird Survey Alerts 2006/2007: changes in numbers of wintering waterbirds in the constituent countries of the United Kingdom, Special Protection Areas (SPAs) and Sites of Special Scientific Interest (SSSIs). Research Report 556. BTO, Thetford.